Set amidst the coastal beauty of Captiva Island, the Plantation House at South Seas Island Resort offers a tremendous opportunity to call the island home each and every year. Find timeshare resales and rentals priced up to 70% lower than retail costs today. What’s My Plantation House Timeshare Worth? Located next to its sister resorts on the South Seas Island Resort property, the Plantation House provides an excellent vacation experience with a stunning backdrop. Find the warm Gulf of Mexico waters just beyond your door with long sandy beaches and those signature Floridian palms. Whether you choose to try your hand at surfing or are simply content with cooling off in the seaside swimming pool, you'll find everything you need to create a memorable Florida escape with your own timeshare unit at the Plantation House at South Seas Island Resort. Your spacious two bedroom accommodations at the resort will come to you perfectly equipped with desirable in-unit amenities to make your stay more comfortable. With enough space for up to six guests, the resort is perfect for family escapes to the beach any time of year. Enjoy the fully-equipped kitchen to cook and enjoy your own meals, or lounge with a glass of wine on your private screened balcony overlooking the ocean. You'll even have all the conveniences of home with a dishwasher and your own laundry machines, ensuring you won't have to go out of your way to keep you and your party comfortable. Are you ready to find your home away from home in Florida? 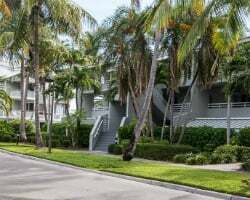 Fill out the form on this page or call a representative at 1-877-815-4227 to learn more about owning a timeshare at the Plantation House at South Seas Island Resort. Purchasing a timeshare resale at the Plantation House can provide you with the same great perks of being a timeshare owner at the resort for thousands less than what others pay. You can find high-quality vacation ownership solutions on the secondary market for prices up to 70% less than retail costs, allowing you to save on the long-term vacation solutions you want. With realistic prices set by real people, timeshare resales at the Plantation House provide the deal of a lifetime for vacationers like you. Resales at the resort typically come in the form of deeded fixed and floating weeks spread throughout Hilton's Gold and Platinum seasons, giving you a wide variety of price points to match your budget. You may also find resales available in Hilton Grand Vacations Club points, which can lead to a more efficient ownership style. No matter which ownership style you choose, you can earn you way to bigger and better vacations by becoming a Hilton Grand Vacations Club member. 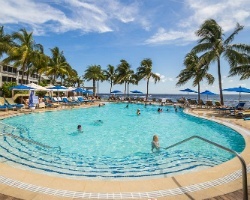 The Plantation House Captiva Island resort is affiliated with Hilton Grand Vacations Club, one of the most popular timeshare brands in the world. As a resale owner at the resort, you won't be able to enroll in the club as an Elite member. However, you will be able to take advantage of some of the club's best perks. 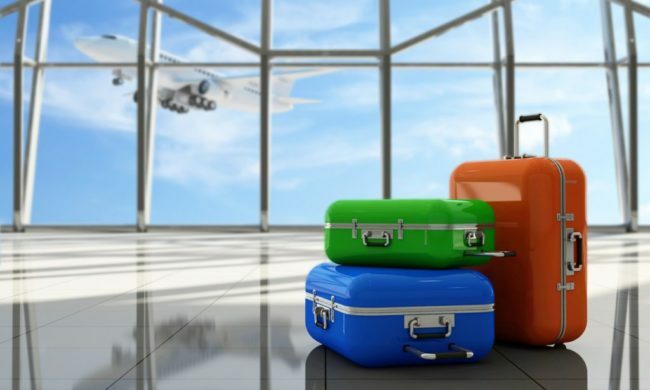 Points-based owners can bank or borrow points for more effective reservations and vacation planning each year, and they can also convert unused points into HHonors rewards to earn more in-room bonuses and other discounts. Another great benefit of being an HGVC member is the ability to use your timeshare resale to travel the world—club members can spend their points at other HGVC resorts to explore new destinations within the Hilton network of properties. The Plantation House at the South Seas Resort Captiva is also affiliated with the world's largest and most popular timeshare exchange brand, RCI. Timeshare exchange allows you to get the most out of your resale ownership, as it can enable you to explore different destinations around the world. With a separate RCI membership, you can explore your exchange options at one of 8,000 additional affiliated resorts, presenting you with unlimited opportunities to explore. Simply deposit your Plantation House accommodations into the exchange network and trade for stays at comparable properties worldwide. 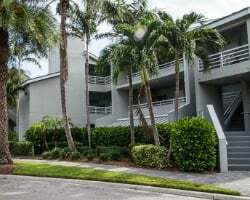 This stunning property at South Seas Island Resort Captiva offers a great deal of fantastic on-site amenities to help turn your vacation into the best trip ever each year. Relax by the seaside pool to enjoy the ocean air and take in those Florida rays, or relax in the whirlpool spa during the cooler evenings. Stay active at the fitness center to keep on top of those exercise goals, or hop aboard the free on-property shuttle to visit different locations around the South Seas Island Resort. Play a round of golf at the resort's course, or rent watersports equipment to use during your beach days out on the ocean. Speaking of the ocean, the Gulf of Mexico is the resort's best amenity, as it lies just beyond the resort's grounds. Walk down to the shore to stroll and hunt for seashells, or bring a beach chair and your favorite book to enjoy some time by the surf. Explore the waters around the island by chartering a deep sea fishing excursion or a catamaran cruise. 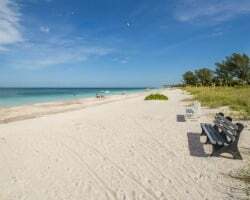 Head south to neighboring Sanibel Island to find even more attractions—you can traverse the J.N. Darling National Wildlife Refuge to spot a dolphin or a manatee, or even play rounds of golf at seaside courses like Sanctuary Golf Club. Find beachside bars like Sea Star Cafe & Waterfront Bar to enjoy cold drinks and great food island-style to top off your trip. Already Own at Plantation House at South Seas Island?